Beautifully designed furniture, Uniquely yours. 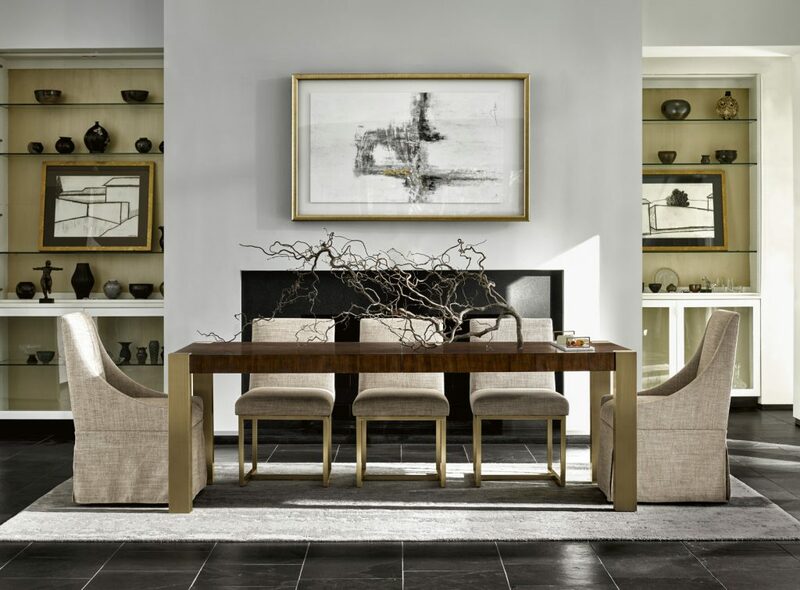 The distinct, brushed brass legs of the Gibson Dining Table illuminate its rich Mahogany finished top, creating a stunningly bold focal point for the dining room. Includes one 20 inch leaf that extends table to 108 inches.